Come join us to celebrate the International Day of Happiness! Please join us for a private event featuring the stunning photographs of Miori Inata("Ise and World Sacred Place”), and the musical depth and beauty of artists Julia Maynert, Eri Kang, Marianna Rosett andYumi Kurosawa, in celebration of our 6th anniversary! 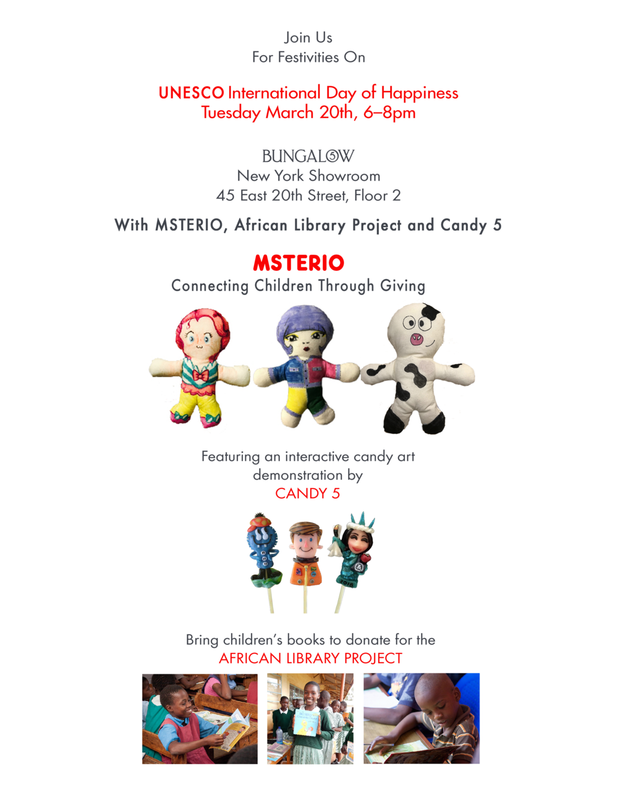 Join us to celebrate our 4th year connecting children in need through traveling dolls -- over 4,000 dolls since inception!